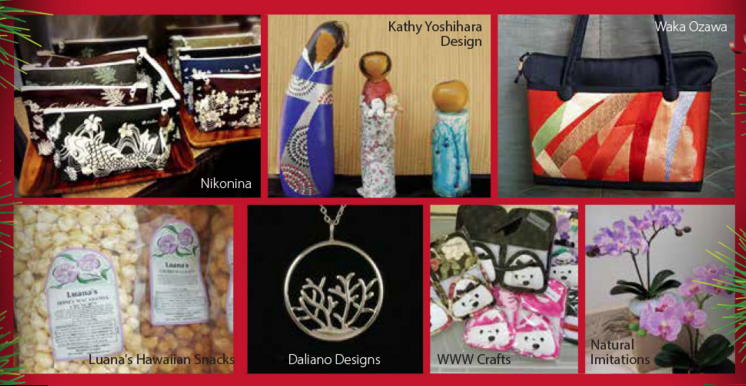 SAN FRANCISCO — Kimochi Inc.’s annual Silver Bells Arts & Crafts Faire will be held on Saturday, Dec. 16, from 10 a.m. to 4 p.m. at The Event Center at St. Mary’s Cathedral, 1111 Gough St. (at Geary) in San Francisco. Get plenty of holiday shopping done at this free one-day event featuring handcrafted items made by more than 90 talented Asian and Pacific Islander artisans. (Note: Not all vendors accept credit/debit cards.) Kimochi receives 10 percent of all proceeds. Come out for a good cause to support seniors and their families. Free parking on a space-available basis. Free Kimochi shuttle service to/from Japantown with pick-up/drop-off at Peace Plaza, Post and Buchanan streets. For more information, visit www.kimochi-inc.org.